We already know that tomatoes and avocado are great together. As are tomatoes and feta cheese. But all three, in the same bowl.. really? Yes, really. Delicious! 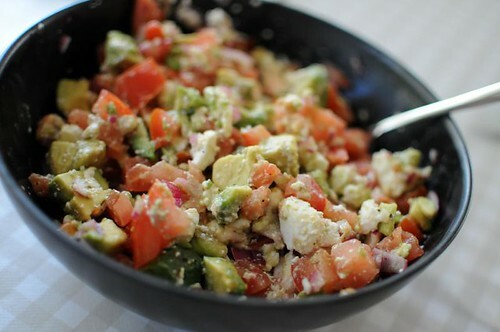 The creamy avocado, the salty feta, the bright tomato.. and a little crunch from red onions. Awesome.